Patrick J. Burke has joined Phillips Nizer LLP as a partner and leader of the firm’s Data Technology & Cybersecurity Group practice in New York. Mr. Burke was the Deputy Superintendent, Office of Financial Innovation, New York State Department of Financial Services (“DFS”). Mr. Burke launched and headed DFS’ Office of Financial Innovation where he oversaw policy and examination of New York’s licensed and chartered financial institutions pursuant to DFS’s first-in-the-nation Cybersecurity regulation. Additionally, he was in charge of the licensing and supervision of virtual currency business activities under the Department’s landmark “BitLicense” cryptocurrency regulation. His oversight of FinTech included review of licensed institutions’ uses of innovative technologies such as Blockchain and artificial intelligence. As the first head of DFS’s Office of Financial Innovation, Mr. Burke supervised cybersecurity examinations of licensed entities pursuant to the trail-blazing 2017 Cybersecurity Regulation, which serves as a model for other states (and countries), and forms the basis for the National Association of Insurance Commissioners’ model cybersecurity law. The Cybersecurity Regulation’s stringent standards are applied to over 300,000 banks, insurance companies and other financial entities licensed by New York State, including credit reporting agencies such as Equifax. Mr. Burke also spearheaded the Department’s implementation of its Virtual Currency regulation, the only such state regulation in the nation. He supervised DFS’s issuance of “BitLicenses” and Limited Purpose Trust Charters to cryptocurrency exchanges, crypto-custody providers and other entities engaged in virtual currency business activities in New York State. Once licensed or chartered, he oversaw their supervision and examination, requiring compliance with robust policies and procedures to address risks and applying DFS’s strong standards regarding anti-money laundering, anti-fraud, transaction monitoring, consumer and cybersecurity protections. Mr. Burke has long counseled clients on protection of personal data and compliance with US and global data privacy laws and regulations. 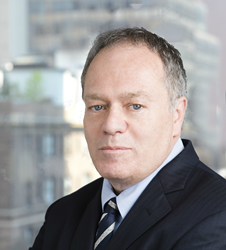 He also is well known for his practice and thought leadership in digital investigations and electronic discovery. His particular focus has been assisting global corporations in cross-border internal investigations and electronic discovery, cognizant of applicable privilege and data privacy standards. In addition to practicing at global law firms, Mr. Burke served as in-house counsel at Guidance Software (now OpenText), maker of the leading digital investigation and cybersecurity software, EnCase. He also served as Technology Counsel for nMatrix (now Epiq Systems), one of the earliest makers of electronic discovery processing software. Mr. Burke founded the Cardozo Data Law Initiative at the Benjamin N. Cardozo School of Law in New York City, where he served on the faculty and taught courses on Information Governance, and E-Discovery, Digital Evidence and Computer Forensics. Mr. Burke received his J.D. from New York University School of Law and his B.A. from Binghamton University. Phillips Nizer’s principal office is in Manhattan, with additional offices in Long Island and New Jersey. The firm is a member of Ally Law, a worldwide network of independent, midsized law firms. To learn more about Phillips Nizer LLP, visit: http://www.phillipsnizer.com.